Elaine Hancock (Olney, United States) on 14 March 2019 in Landscape & Rural. From the archives. 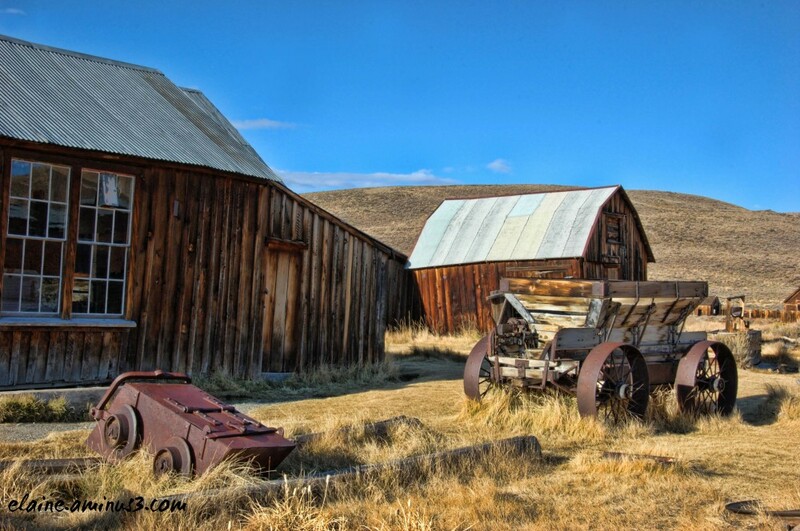 Taken in Bodie, CA. J'aime énormément cette photo, bien que l'endroit semble abandonné. Tout semble être endormi, paisible. What stories this image evokes. Did you find a forgotten gold nugget? Marvellous composition, full of beautiful memories! Back to the wild west, beautiful photo. Le vent murmure des histoires entre ces vieilles planches...j'aime !! I like the way you composed this view. The warm light and tones are superb. Beautiful image here..I like the way you have presented this ! This ghost town has some very interesting elements. It looks like go to a good place to do some snooping around. Beautiful old buildings and mining gear. Beautiful warm tones that complement the refreshing blue sky in this well-framed rural setting!! I love poking around old places like this. The stories those buildings could tell. Wonderful composition, great colours and fine detail.